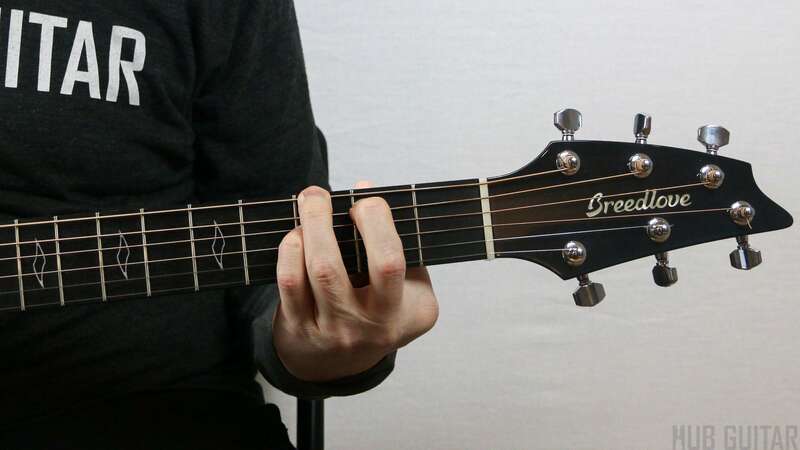 The intro riff from this catchy tune by Jack Johnson is perfect for your first song on the guitar because it includes both single note melodyA series of pitches which form a memorable musical statement. as well as two different chordA harmonic structure (that is, the combination of several notes) which ideally produces a pleasing sound. Chords are normally created by stacking notes in groups of thirds.s. Learn to play the catchy bass riff. 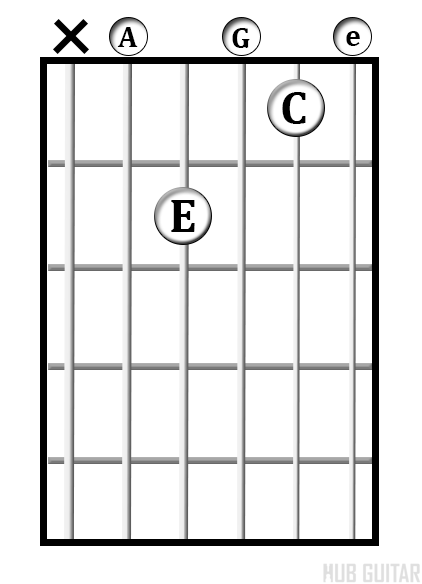 Learn two new chords, A-7 and G7. 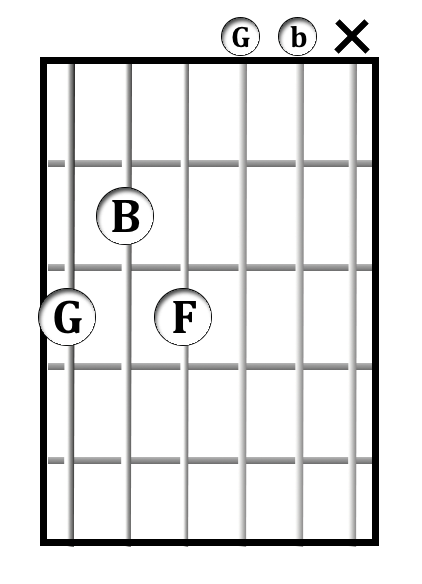 Practice the riff and chords slowly until you can put them together. 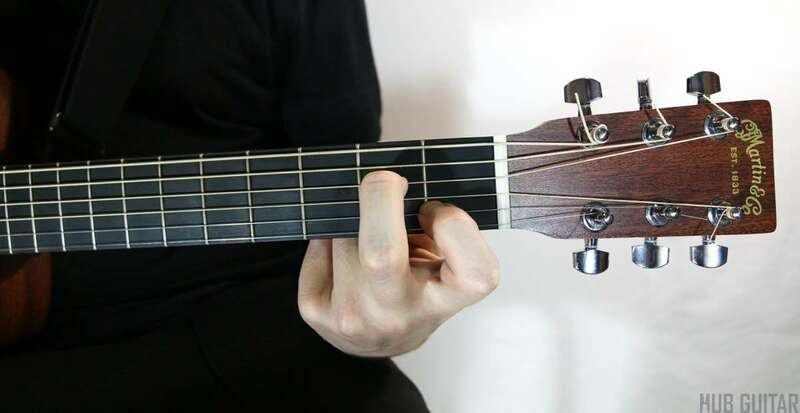 At this stage of your guitar playing, it’s fine to play with your fingers or using a pick.